Greetings Clients, and happy New Year! Now that we’ve put a bow on 2018, we thought we’d take this opportunity to look back on what transpired last year and to reflect upon some notable developments. One of the biggest events from our standpoint in 2018 was the changing of our firm’s name. We are all long-time Eley Financial Management employees and are proud to continue the values that founder Gary Eley instilled – empathy, compassion, diligence and a genuine concern for our clients’ well-being. Our goal in renaming the company was to honor these values and revitalize our commitment to them. 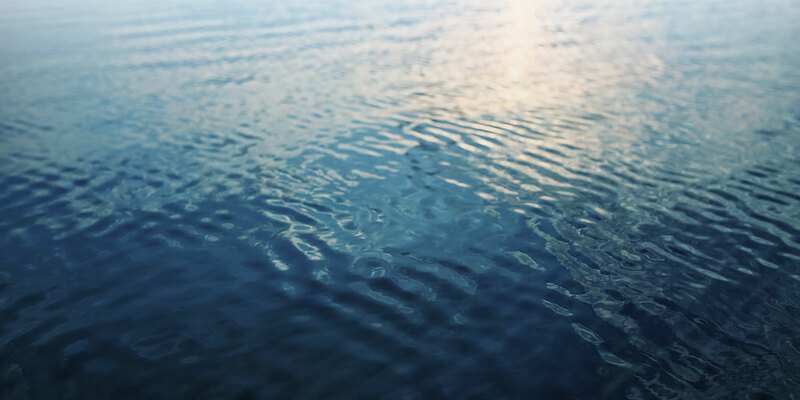 We chose Broadlake Financial Management out of a shared love of our region’s treasured jewel. 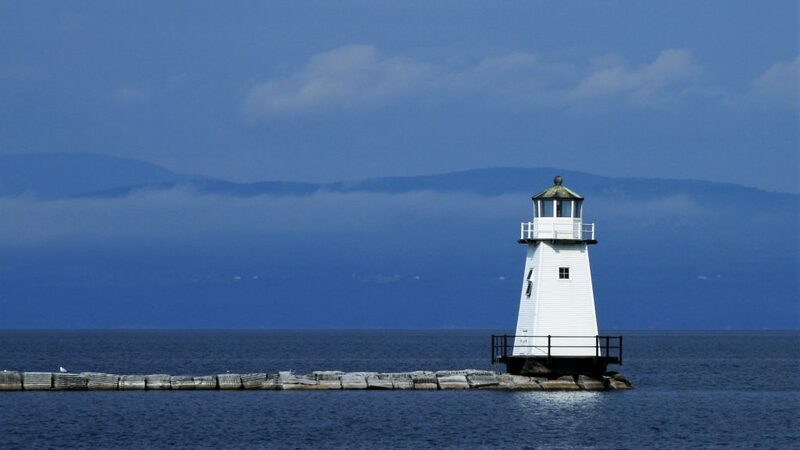 The lighthouse in our logo is modeled after the one found on the breakwater in Burlington harbor. With the help of the talented people at Stride Creative, we also revamped our company website. If you haven’t already, feel free to take a look around and let us know what you think. Saving for college – We helped many clients establish 529 college savings plans for newly born children and grandchildren. For you new parents, it was one of about a billion things that you wanted to check off your list in your desire to be the best parents possible. For you new grandparents, it was part of a more relaxed experience whereby you were happy to do whatever you could to be helpful, as well as another way to show your love for your cherished family. Paying for college – More than a few of you either began or continued to take distributions from UGMA’s, or other accounts established long before 529 accounts came onto the scene, to pay for your kids’ and grandkids’ college bills. Some of the many receiving institutions included Albany, Brown, Bentley, Colorado, Husson, New School NYC, Purdue, Stonehill, St. Lawrence, UMass Amherst, and of course Champlain and UVM. What an interesting and diverse mix of schools and an exciting and a formative time in your loved ones’ lives. First time home purchases – A handful of you became new homeowners in 2018. Some were fortunate enough to be able to draw from taxable brokerage accounts for your down payment. Others took advantage of first-time homeowner exemptions to tap retirement accounts. Homeownership for most of us is a significant milestone in our lives and it warms the heart when a young couple or individual is able to take that plunge. Funding retirement –We all sacrifice a bit of our potential current standard of living to squirrel away funds for our retirement. 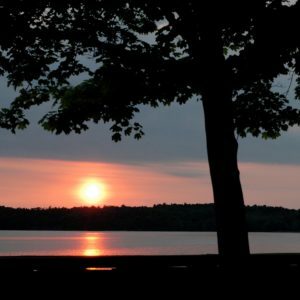 We’ve all had to endure several gut-wrenching market declines that test our ‘long-term investment discipline’ in the hopes of having an enjoyable and lengthy retirement. Seeing that planning pay off and witnessing all the interesting things that our retired clients do is truly rewarding. Some of you buy vacation homes in warmer climes. Some of you spend more time enjoying such pursuits as golf, tennis, skiing and hiking. Some of you start side businesses or generously volunteer your time. Some of you travel to exotic places around the globe. All of you say you are busier now than you ever were when you were working! Wherever your retirement takes you we stand ready to assist with the financial decisions that may present themselves. Business sales – Several clients sold businesses last year and sought advice on how to invest what, in many cases, is the financial sum of a lifetime’s work. Last year had its fair share of divorces. Some were long, contentious and difficult. Others were more of a legal admission of a long-term reality. In each case, clients felt anxiety over the ‘new math’ that meant less resources for all parties and an uncertainty over what that meant for their financial commitments and personal well-being. Hopefully, we helped our clients in fully understanding their new situation and laying out a course of action that could still maximize the chances for that enjoyable retirement they were anticipating. Similarly, we are often called upon to help educate a newly-single client who may have previously relied on their spouse to make most of the financial decisions in the household. Most difficult was the passing of several long-time clients. During these times we not only grieve with our surviving clients, but also attempt to assess how we can be most helpful. Some are so strong and so organized that one must stand in awe at how they are able to handle the transition with so much grace and dignity. Others need more assistance and hopefully we are able to step in at the right time and plot a course that will not over-complicate and burden what is already an extremely difficult time. In addition to all of these significant life events, the vast majority of you had just another ‘regular’ year. You are a year closer to ending your careers, sending your kids to school or further enjoying your retirements. You came in for your reviews (once a year at a minimum!) and, in one form or another, wanted to know: “How am I doing?” “Are we still on track?” “Are we spending too much money?” “Am I taking an appropriate level of risk?” As a fee-based advisor not driven by commissions, we are able to give objective advice that strives to give context and answers to these questions. The nuts and bolts of what we do at Broadlake – what allocation is most appropriate, what investment vehicles can best accomplish your goals, which sectors have the best prospects, which bond maturities will fare best given the interest rate outlook, etc. – are important and we work hard to try to get those right. What cannot be lost, however, is the importance of taking a step back and doing our very best to truly understand your situation and bringing to bear all of our experience and resources to help you be ready for life’s many financial events. Be in touch – one of the ways we are able to provide high level financial services at very competitive costs is by working with many households and entities. Affordable advice was one of the founding principles of the firm and one that we still adhere to. The downside to that approach is that we do not have an army of client service personnel who proactively reach out to clients. We make it clear that we are always here when you need us and will send you a reminder card if we haven’t seen you in a while, but we will not physically come to your house or office and drag you in for a review! Reviews are important to confirm that you are on the right track and also to bring us up to speed on important developments in your life. Take advantage of our complimentary financial planning resources – By virtue of being a Broadlake client, you have access to our very robust Money Tree Financial Planning software. This is a software package that attempts to answer the very valid question “Will I outlive my funds or will my funds outlive me?” The process is straightforward – clients fill out a questionnaire which takes a bit of homework on your part, but is quite worthwhile. We then set up a meeting (about 90 minutes in length) to review the output and run through a number of ‘what-if’ scenarios – i.e. ‘What if I retire at 66, but don’t draw social security until 70?” Once we’ve established your most likely scenario (i.e. ‘Base Case’), then we can revisit your plan as retirement approaches to make sure you are on track. This service is very similar to what some planners charge several thousands of dollars for and we are happy to offer it free of charge to all our existing clients. Be aware of media hype – Many of you have expressed concern about the current ‘state of affairs’ and perhaps rightfully so. What can sometimes be difficult, however, is to discern the difference between headline ‘noise’ and tangible developments that are likely to have a long-term impact on the capital markets. We are happy to give our opinions (which of course are not infallible) as to which is which, but given that your investments are by their very nature long-term, we urge caution in getting too caught up in the daily news cycle. Thanks as always for your business and the implied trust that comes with choosing an Investment Advisor. We take that trust very seriously and remain focused on being the very best stewards of your nest eggs that we can be. We wish you a healthy and prosperous 2019 and please do not hesitate to contact us if we can be of assistance in any way.